"I intercepted some vid from another source. The sort that’s a journo’s glee and some corp’s nightmare." The bodies are gone, but the MURDER SCENE still stinks of them. As a pair of techs bag the murder weapon—a massive sledgehammer—a low-flying camdrone performs the last scheduled imaging prior to cleanup. 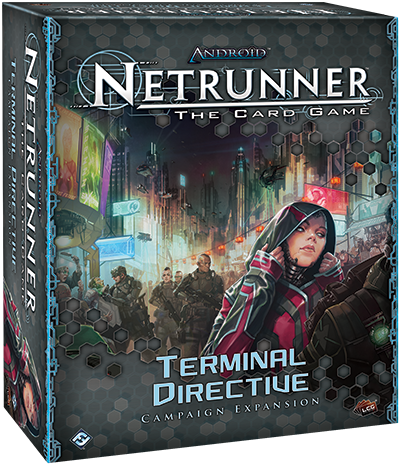 The TERMINAL DIRECTIVE campaign expansion for Android: Netrunner is now available at your local retailer. And its futuristic mysteries are yours to peel away in a deadly race to control the truth! // What is Terminal Directive? 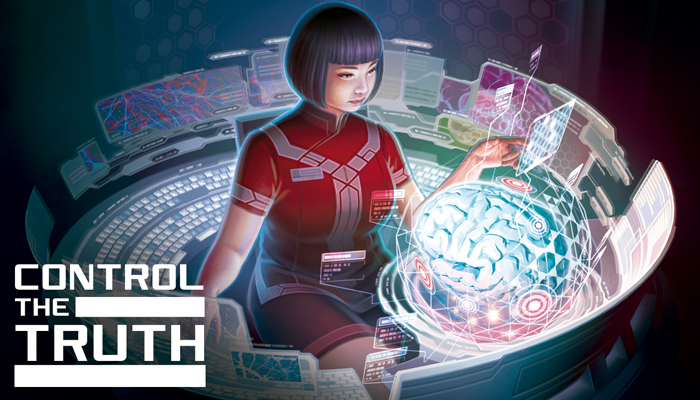 The first CAMPAIGN EXPANSION for the highly reviewed Android: Netrunner LCG®, Terminal Directive transforms your Corp / Runner cyberstruggles into an ever-shifting, ever-evolving race to uncover and command the secrets behind a gruesome series of murders. Set in the not-too-distant future of the Android universe, the events of Terminal Directive campaign progressively immerse you into a world in which the technologies have changed, but the people haven't. Crime is still just as prevalent as its always been, and the desire of the powerful to ERASE or EXPLOIT the evidence is as profound and immediate as ever. Over the course of roughly eight to twelve games, you and your friend will assume the roles of CORP and RUNNER, and you will pursue the murderer through your games. These games will lead you to new data sets to access, providing you even more insights into the nature of the crime. You will also make choices about how you'll proceed, and those choices will have lasting REPERCUSSIONS, as they'll change the goals and abilities—even the cards—that you bring to your games. __You can learn more about the campaign from our previews of the format and the experience. 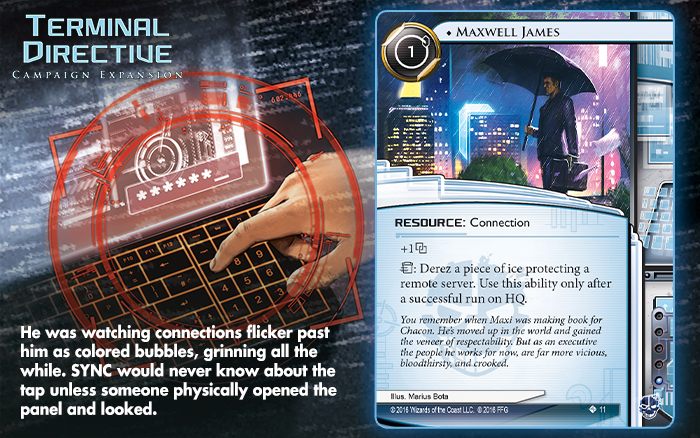 :: Additionally, Terminal Directive serves as the ideal second step along your Android: Netrunner career not only because of the unique play experience it offers, but because it also patches your collection with a massive UPLOAD of four new identities and 159 other player cards (three copies each of fifty-three different cards). Altogether, these tournament-legal cards, in conjunction with your CORE SET components, give you everything you and your friend need to play the campaign—and they simultaneously open a wide array of possible deck-building options. __You can learn more about the expansion's player cards from the articles that look at its corps and runners. // Solve the Mystery. Watch Your Back. CLICK:: FIND A TERMINAL DIRECTIVE EVENT NEAR YOU. Even so, you're going to want to WATCH YOUR BACK. 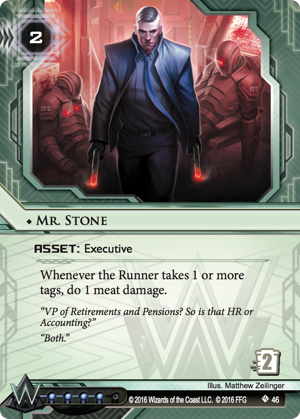 After all, you've got con men looking to steal your company's secrets, and you've got guys like Mr. Stone (Terminal Directive, 46) looking to bury them forever—along with anyone foolish enough to get in his way. Boot up. Jack in. Be careful. The time has come to CONTROL THE TRUTH. TERMINAL DIRECTIVE (ADN42) is now available at your favorite local retailer!